"Our greatest hope is that these extracts have such an impact on viruses that they may help varroa mites become an annoyance for bees, rather than causing huge devastation," said Steve Sheppard, a WSU entomology professor and one of the paper's authors. "We're excited to see where this research leads us. Time is running out for bee populations and the safety and security of the world's food supply hinges on our ability to find means to improve pollinator health." 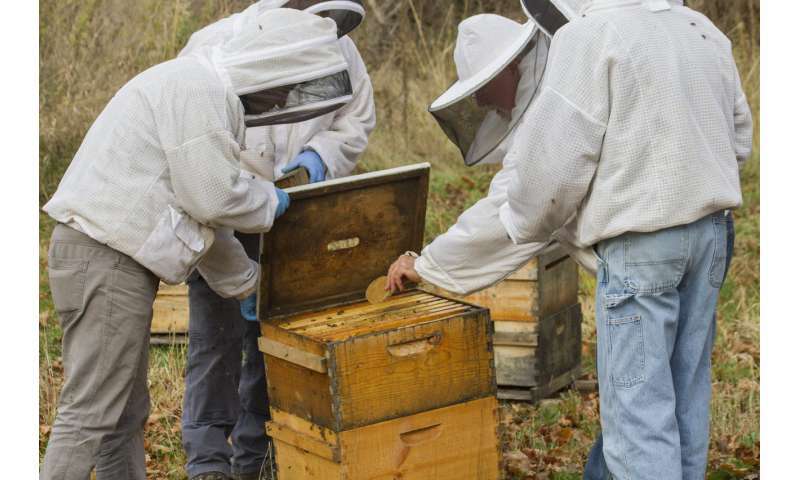 "One of the major ways varroa mites hurt bees is by spreading and amplifying viruses," Sheppard said. "Mites really put stress on the bees' immune systems, making them more susceptible to viruses that shorten worker bee lifespans." This is the first research paper to come out of a partnership between Sheppard's lab and Fungi Perfecti. Their co-owner and founder Paul Stamets is a co-author on the paper. "Paul previously worked on a project that demonstrated the antiviral properties of mycelial extracts on human cells," Sheppard said. "He read about viruses hurting bees and called us to explore the use of the extracts on honey bees. After two years, we demonstrated that those anti-viral properties extend to honey bees." Stamets is passionate about the various benefits of fungi, both to humans and wildlife. And he's been enjoying this partnership with Sheppard and his lab. "This is a great example of connecting the dots between two fields of biological science," Stamets said. "I am excited about new discoveries and opportunities. For me, the best of science is when it is used for practical solutions. Our team is honored to work with WSU researchers and look forward to continuing collaboration." Right now, the mycelium extract isn't currently available in levels for beekeepers to purchase for their hives. "We are ramping up production of the extracts as rapidly as is feasible, given the hurdles we must overcome to deploy this on a wide scale," Stamets added. "Those who are interested in being kept up to date, can sign up for more information at http://www.fungi.com." 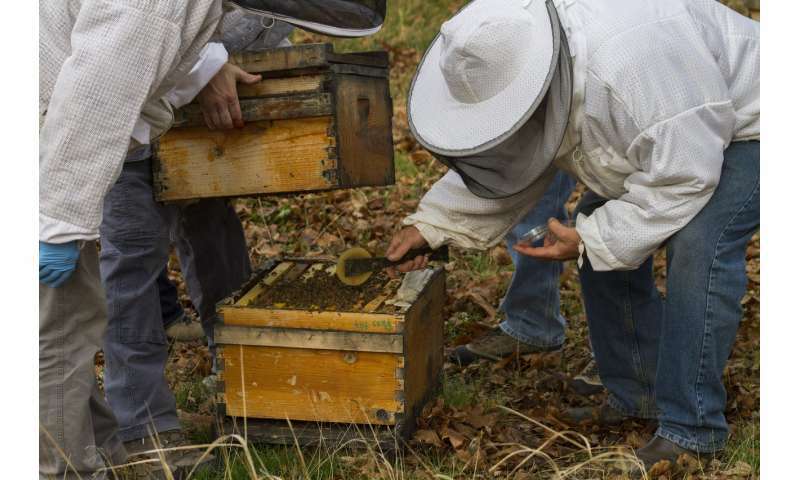 "We aren't sure if the mycelium is boosting the bees' immune system or actually fighting the viruses," Sheppard said. "We're working to figure that out, along with testing larger groups of colonies to develop best management practices and determine how much extract should be used and when to have the best impact." Lake Sinai virus is also associated with varroa mites and is widespread in bee colonies around the United States. While the virus has no obvious or overt symptoms, it's an important virus to fight because it was found at higher levels in bees from collapsing colonies. It is closely related to chronic bee paralysis virus and it likely makes bees sick and weak, according to WSU assistant research professor Brandon Hopkins. "It's a really easy treatment to apply," Sheppard said. "After we follow larger colonies for a full year, we can develop recommendations for how to use the extracts. Then it is expected that Fungi Perfecti will ramp up production."